By Christopher Rashad Smith, M.D. Taraji P. Henson’s father served this country as a soldier in the Vietnam War and as a police officer. Henson described her father as a “changed man” after the war, suffering from mental illness that ultimately led to homelessness. Since her father’s death, Henson has worked with others to create a nonprofit organization “committed to changing the perception of mental illness in the African-American community by encouraging those who suffer with this debilitating illness to get the help they need.” Just last month, Ms. Henson launched the Boris Lawrence Henson Foundation in Beverly Hills, where it will begin its courageous and inspirational programming. The organization is designed to collaborate with other mental health partners to create and increase support in urban schools, increase opportunities for African-American students pursing degrees in psychology, and improve mental health support for formerly incarcerated individuals through re-entry programs. This is part of the solution, and I am writing in hopes that metro Atlanta becomes a part of this valuable opportunity to prioritize mental health wellness in our communities. Research shows that for African-American men and women, psychiatric symptoms generally worsen in adolescence, and suicide rates in our communities peak in early adulthood. As a mental health physician, I dream of the day when African-American communities and school systems are provided optimal mental healthcare, support, and outreach. Growing up in suburban South Carolina, I personally experienced the consequences of poor mental health resources in our communities. Self-medication with drugs and alcohol, inability to cope with anxiety and depression, and the death of friends and family are all unaddressed challenges and factors of mental illness. These problems continue to persist, and the Medical Expenditure Panel Survey indicates that Black Americans are significantly less likely to receive appropriate management and treatment for mental illness compared to White Americans. Moreover, psychotherapy services are still sorely underutilized by African Americans, according to the National Survey of Black Mental Health. Barriers in Black communities, such as financial challenges through a history of discrimination, lack of cultural competencies from many medical and mental health care providers and systems, and negative cultural stigma, are among the many reasons for the ominous statistics in the survey. One significant barrier to seeking treatment for mental illness is the mistrust of medical care stemming from America’s troubled history of medical exploitation of Blacks like the Tuskegee Syphilis Study. Adding to this situation is the lack of African-American physicians and resources within Black communities. The Boris Lawrence Henson Foundation presents a unique opportunity for metro Atlanta which is home to large mental-health professional and student populations. The foundation’s launch serves as an opportunity for local and state governments, colleges and universities, metro-area school systems, and the private sector to collaborate and directly combat undertreatment in our communities. According to the Centers for Disease Control and Prevention and the Bureau of Justice Statistics Survey, undertreatment of mental illness contributes to several hundred African-American children committing suicide over the past decade, increased African American suicide rates over the past 30 years, and mass incarceration of many of the community’s mentally ill. Though several healthcare entities continue to work diligently to provide affordable mental healthcare, many patients remain without care. However, the Atlanta Public School (APS) system and the Atlanta University Center Consortium (AUCC) can ideally hire more psychotherapy and psychiatric professionals to better educate APS youth of the importance of addressing mental health. The Grady Health System, Morehouse School of Medicine, and Emory University are the perfect academic and mental health-based systems for the state to invest in to expand the number of mental health locations, resources, and training for those interested in the future of mental health treatment. The detentions centers in Fulton county, Dekalb county, and the city of Atlanta, as well as the Georgia Center for Opportunity, are locations where investments in mental health for former prisoners would allow the community to address both past and present mental health issues. Though a seemingly overwhelming task at times, the issue of our community’s undertreated mental health problems can be served through its budding resources. With adequate investments and the collaboration between the Boris Lawrence Henson Foundation, local and state academic and health systems, and our communities, we will be able to improve mental health wellness and treatment while working to eliminate the many barriers that prevent so many of us from living our best lives. Whether it is by contributing to local scholarships for students, providing community outreach through churches, school systems, and community associations, or assisting those who have been formerly incarcerated with better mental health wellness, we can all be a part of the solution. 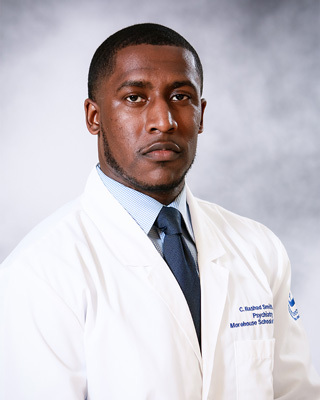 Christopher Rashad Smith, M.D., is a fourth-year psychiatry resident at Morehouse School of Medicine.